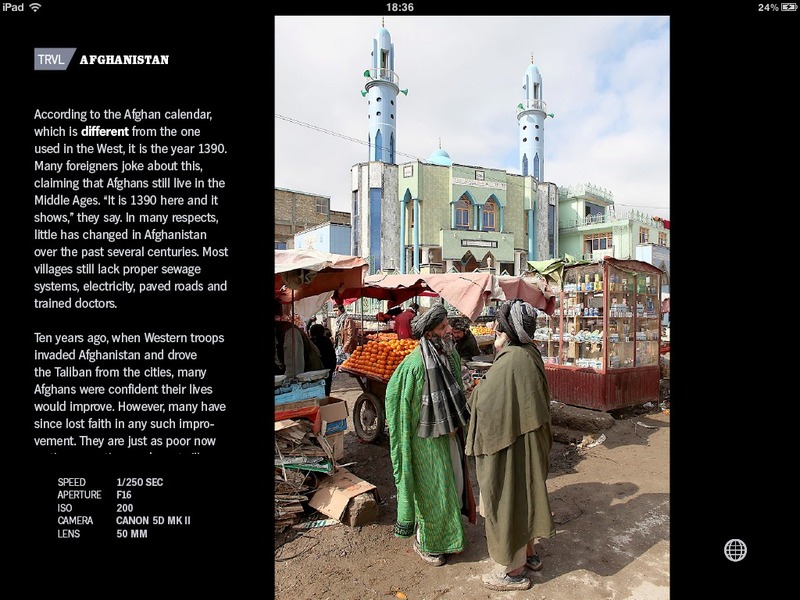 Following on from its recent relaunch with a gorgeous new design, Dutch iPad travel magazine startup TRVL has today introduced its first paid-for content – a ‘coffee table book for the price of a coffee’. Until now, TRVL has offered articles on an individual basis for free download, with talk of sponsorship and maybe advertising in the future to provide revenue. However, today the first premium ‘coffee table book’ offering arrives within its in-app store. 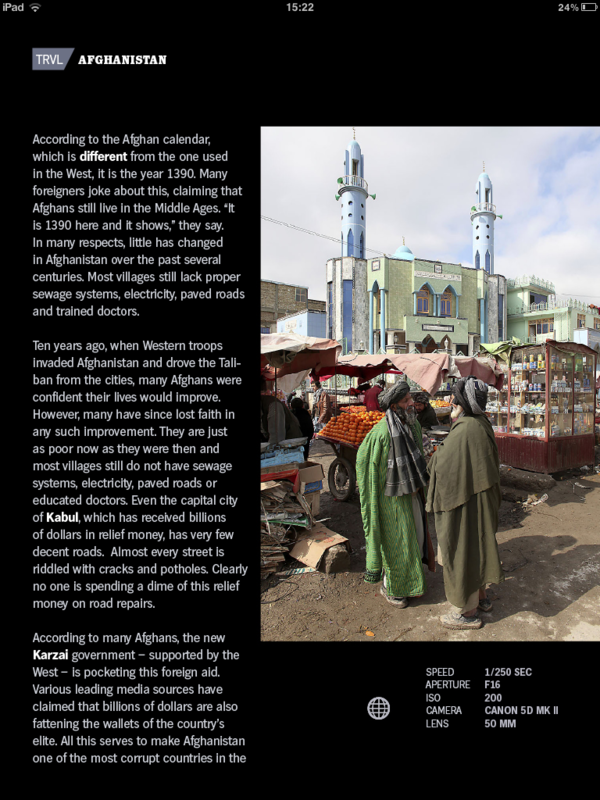 ‘The Truth About Afghanistan’ is a collaboration with photographer Ton Koene, offering a look beyond the news headlines at a country which has become known for its terrorism and warfare. 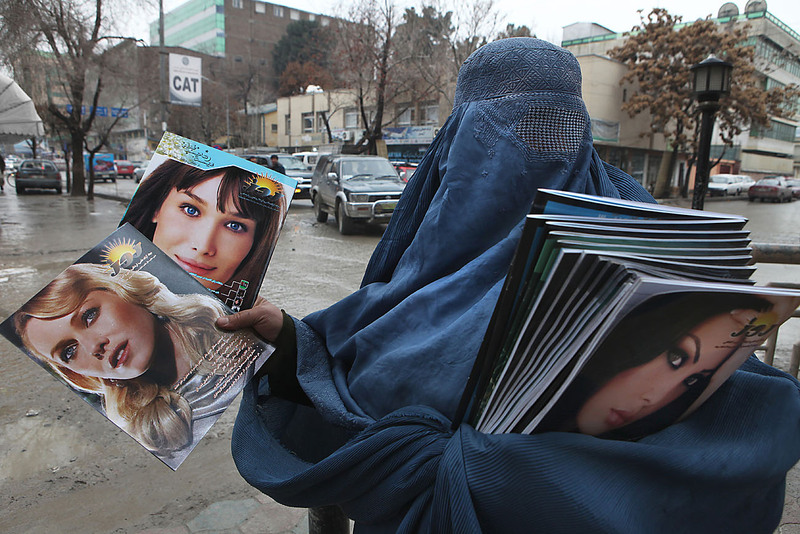 Koene’s 170 photos, accompanied by a number of videos, looks at the conflict but also broader aspects of the country’s society. Released as the tenth anniversary of the 9/11 attacks in the US approaches, the book is the first of a series of paid-for downloads TRVL will be offering. The startup plans to offer between five and eight premium issues per year, with issues about Andalusia, The Sahara Dessert and China currently lined up. The $1.99 pricepoint was decided upon after the company conducted a survey to find out how much users would be willing to pay for an iPad-exclusive photo book. In this instance, revenue from the in-app purchase is being split 50/50 between TRVL and the photographer, after Apple’s standard 30% cut. 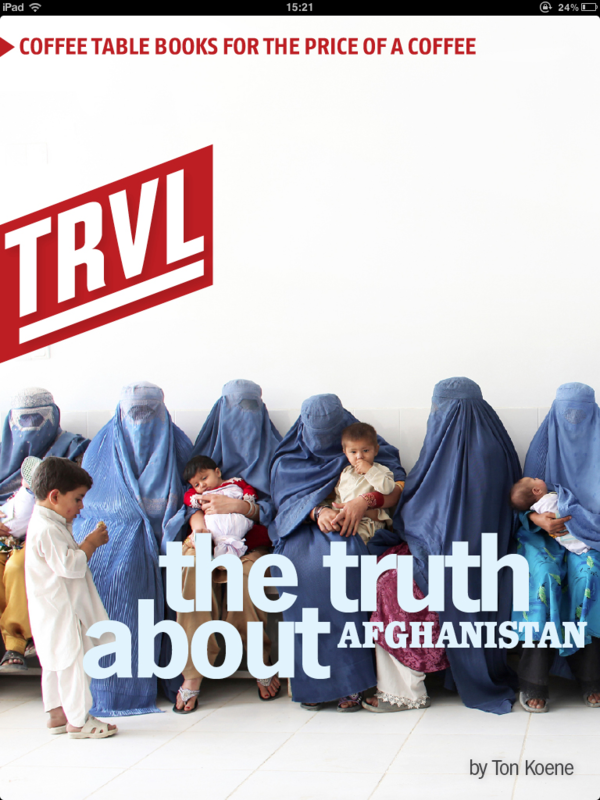 ‘The Truth About Afghanistan’ is available in TRVL’s in-app download store now. You can download the app itself for free on the App Store.